Our aim is to provide products and services to achieve a better and healthier life for our fellow human beings. Founded 1991, today we are highly successful in fulfilling the needs of the whole therapeutic chain: hospitals, medical professionals, pharmacies, retail sales points and last, but not least, patients and consumers. We act grounded in a holistic concept model providing valuable evidence-based options, including therapeutics, treatments, and diagnostics – as well as providing expertise in complementary alternative and integrative medicine. 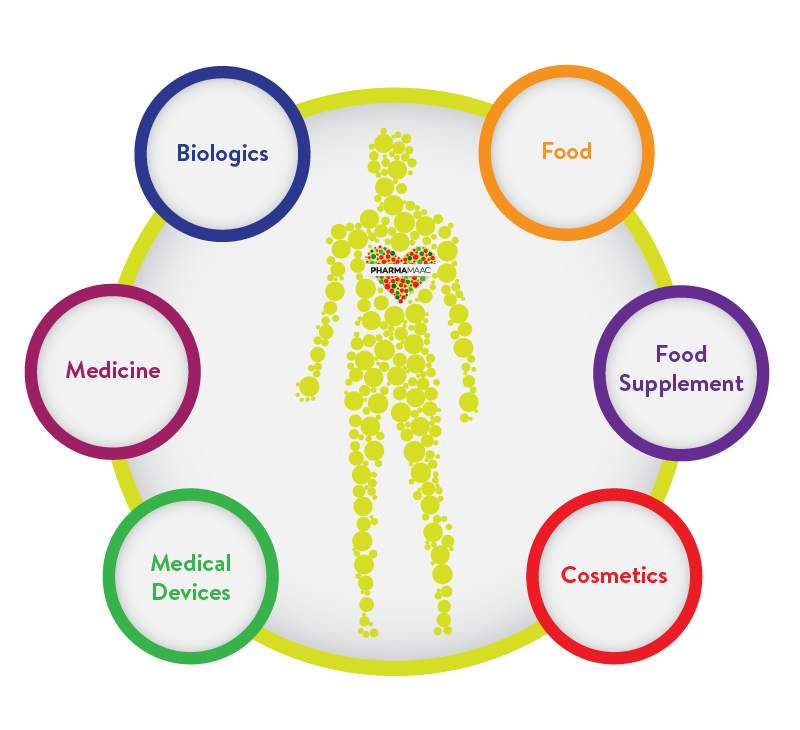 Therefore, our portfolio consists of a whole range of products that may be requested by people looking for a healthier and better life, such as: drugs, biologics, medical devices, food, food supplements and cosmetics. We are active as much in specialized health care as in mass consumer markets, aiming to reach patients and consumers in every channel – to enable them to choose which option is the most appropriate for them. Therefore, Pharma Maac is “the holistic choice” for employees, principals, partners and consumers.